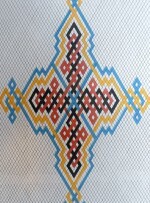 Dust-pressed mosaic tiles (also known as ‘tesserae’) are of a small uniform size and have various colours (white, blue, green, yellow etc.). 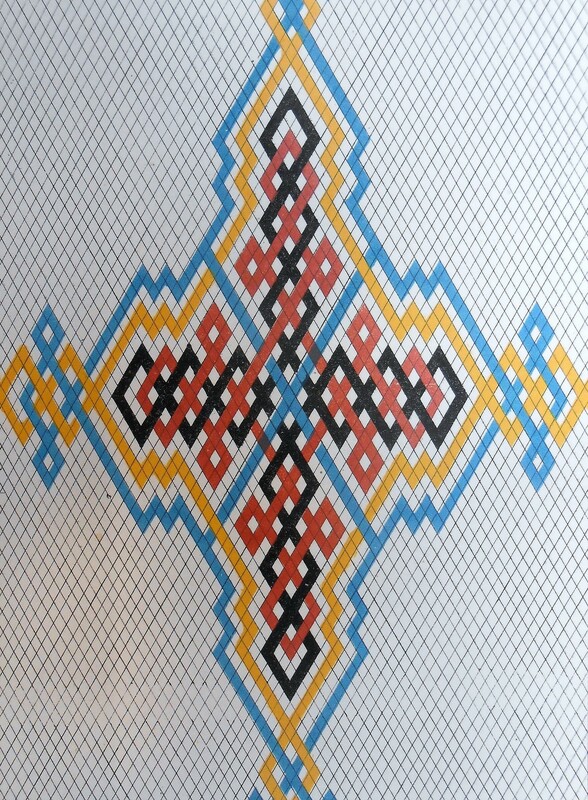 They rely on their different body colours to create patterns and designs in conjunction with other mosaic tiles. 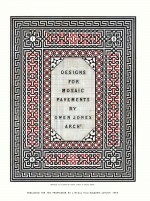 Pavements made up from so-called ‘geometrical tiles’ are usually more complex in their lay-out and design than the pavements constructed of small dust-pressed mosaic tiles which consist usually only of square or triangular shapes. Geometrical tiles have a greater variety of different shapes and sizes and more complex pavements can be constructed in this way. Geometrical pavements can have quadrilateral, triangular, rhomboid, hexagonal and octagonal tiles, with each shape made in several different sizes. The great attraction of geometrical floor tiles is that with a mere handful of different shapes and contrasting colours they can be arranged into an infinite number of striking combinations that with their underlying sense of order have a universal appeal. 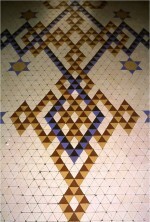 The historical precedents of 19th century English geometrical tiled floors are the marble pavements of Italy and the Moorish tiles of Spain epitomized by the tiles in The Alhambra in Granada. 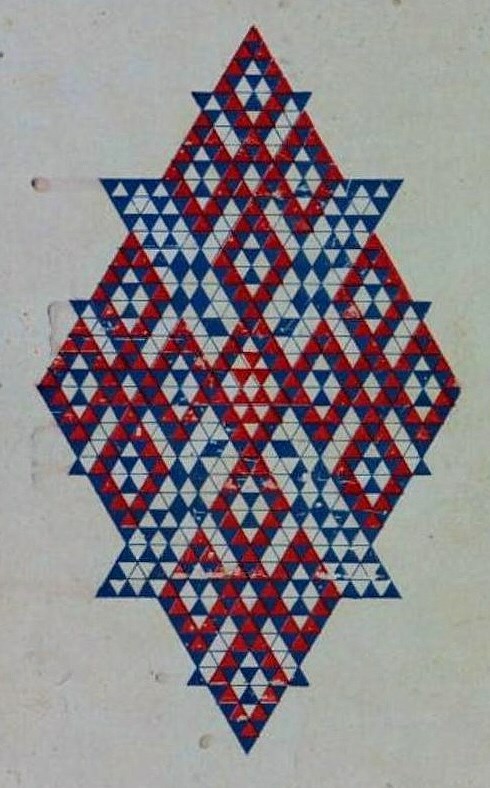 The architect Owen Jones had already published beautiful drawings of Moorish tile work in his book Plans, Elevations, Sections and Details of the Alhambra, published in 1842. 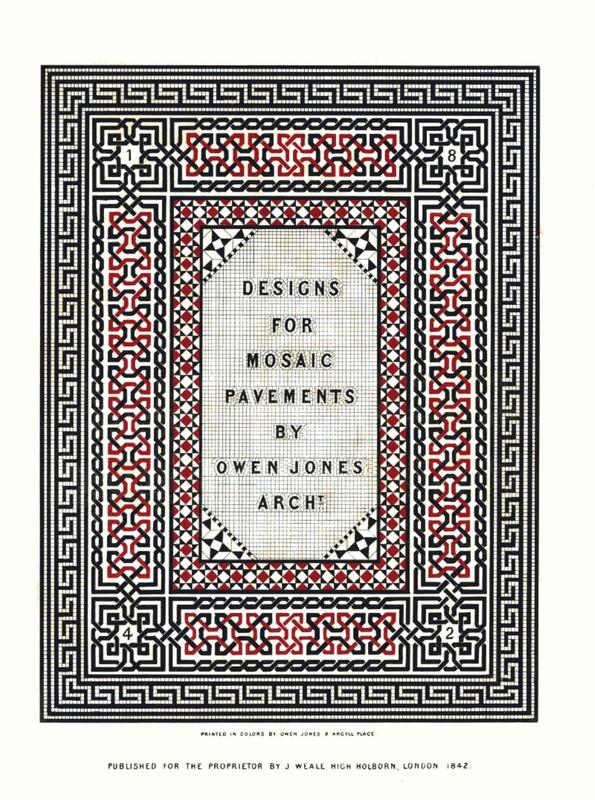 In the same year Owen Jones contributed designs for dust-pressed tesserae made by Minton & Co. for a publication issued by J. M. Blashfield called Mosaic Designs by Owen Jones Architect. 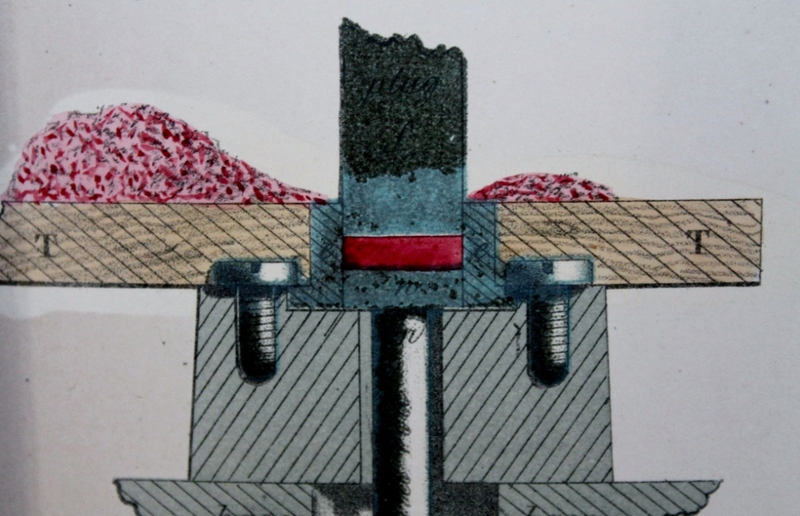 Magnificent examples of Italian marble pavements were also published by the architect Matthew Digby Wyatt in his book Specimens of Geometrical Mosaics of the Middle Ages in 1848. 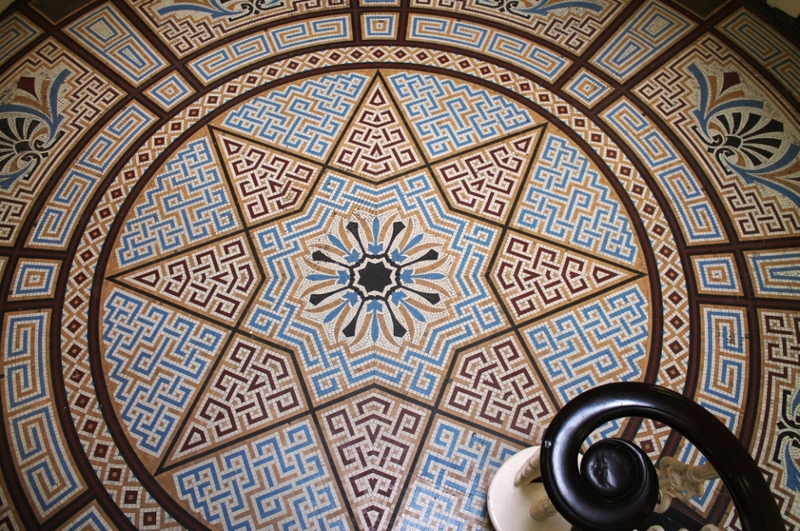 All this had an impact on the design of the dust-pressed geometrical floors produced by Minton & Co. during the late 1840s and early 1850s. 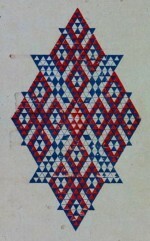 Examples of Minton’s geometrical tiled floors were shown at the Great Exhibition of 1851 in London and selected specimens were also illustrated in the magazine The Art Journal in 1851. This was an influential magazine in 19th century Britain and was mainly devoted to painting and sculpture but sometimes it also published articles on design. It was normally illustrated with black and white pictures but occasionally colour illustrations were used. 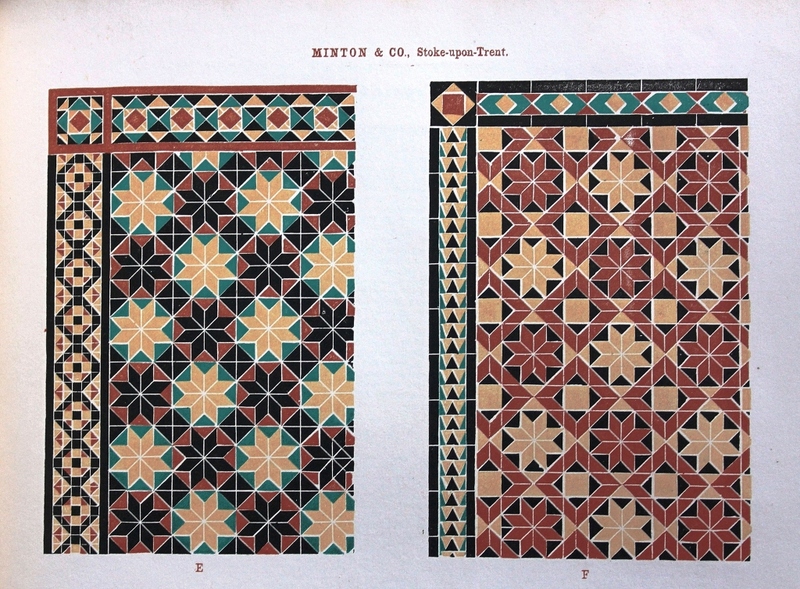 What makes The Art Journal of 1851 so unusual is that in that year colour was used to highlight only one painting which was by the famous artist Sir Edward Landseer but five pages were devoted to showing Minton pavements constructed of geometrical and encaustic tiles in full colour. 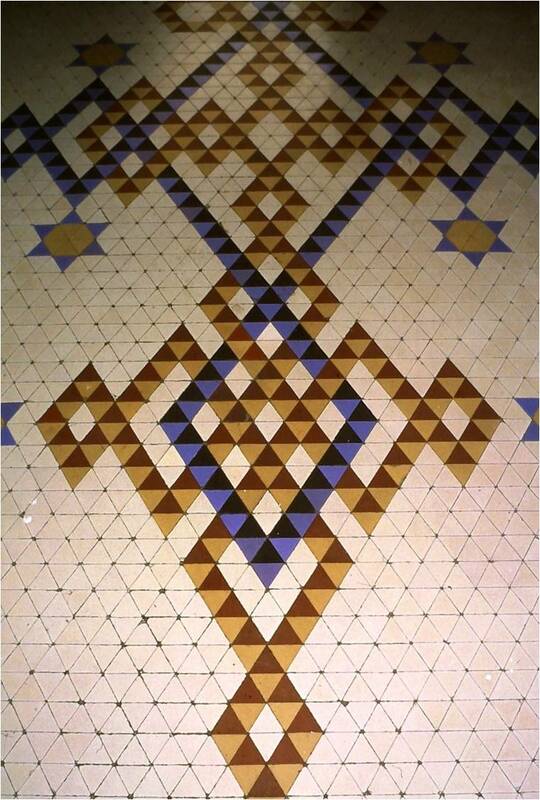 It seems that by 1851 Minton’s ceramic pavements had been elevated to the status of ‘high art’. 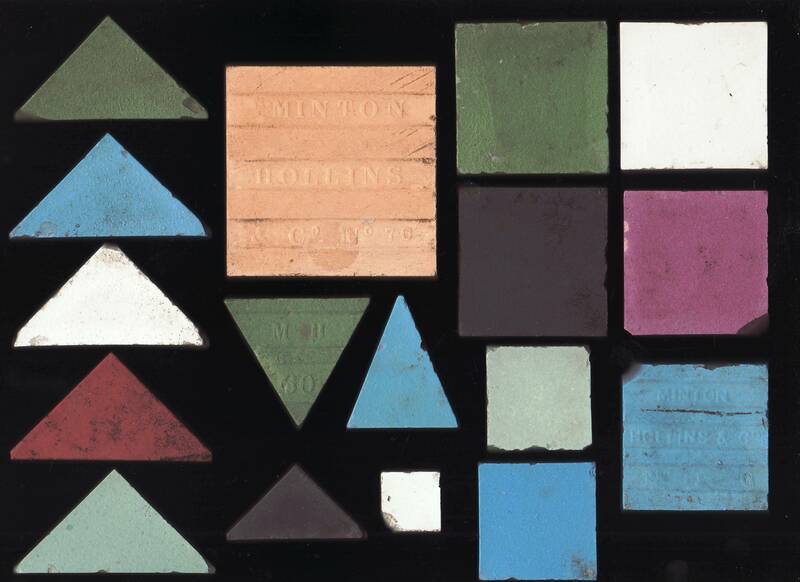 A selection of dust-pressed mosaic tiles of different sizes and colours made by Minton, Hollins & Co.